Kilifi County painted Orange (ODM) from Governor to MCA courtesy of Amason Kingi. - Bana Kenya News, Real African Network Tubanane. Home Mombasa Kilifi County painted Orange (ODM) from Governor to MCA courtesy of Amason Kingi. 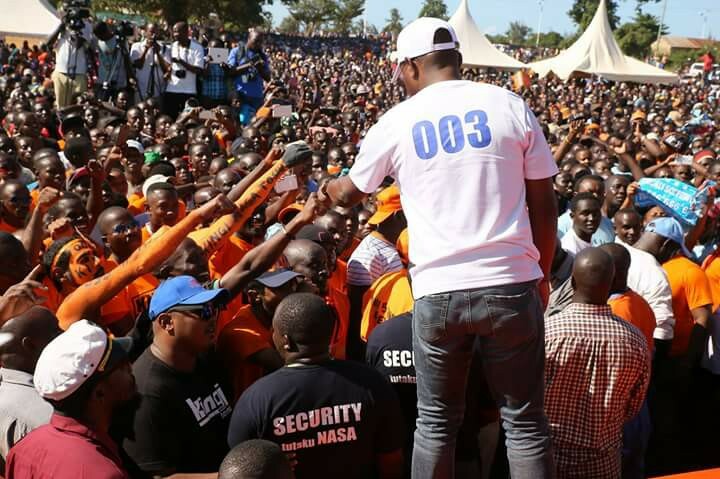 Kilifi County painted Orange (ODM) from Governor to MCA courtesy of Amason Kingi. Kilifi county seats for the member of parliaments have all gone for ODM. The incumbent governor Amason Kingi and incumbent Senator Steward Madzayo retained their seats as the county brings new and fresh members of the national assembly. Rabai Constituency William Kamote (ODM) garnered 17 402 votes (59,37%) while Antony Kenga (JP) pocketed 6 678 votes (22,78%), Kilifi South Richard Ken Chonga(ODM) 32 882 votes (66,70%) while Mustapha Idd (JP) pocketed 10 032 votes (20,35%), Malindi Aisha Jumwa (ODM) 25 499 votes (52,45%) while Philip Charo (JP) 12 636 votes (25,99%), Ganze Teddy Mwambire (ODM) 9 758 votes (36,20%) while Peter Shehe (JP) 5 325 votes (19,76%), Kilifi North Owen Baya (ODM) 26 095 votes (43,36%) while Eliud Kalama (WDP) 18 514 votes (30,76%) and Magarini Constituency Michael Thoya (ODM) 16 015 votes (41,42%) and Mwalimu Menza (ANC) 9 132 votes (23,62%). The Kilifi County Members of Assembly have been 80% gone to NASA. The next phase of the incumbent governor Amason Kingi will be a bit smoother as the majority of the MCAs are from his party.